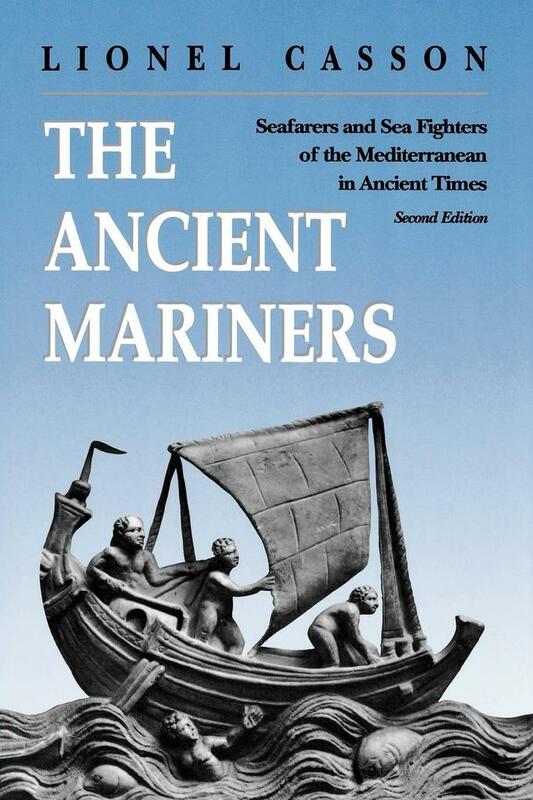 Seafarers and Sea Fighters of the Mediterranean in Ancient Times. - Second Edition. Written by the renowned authority on ancient ships and seafaring Lionel Casson, The Ancient Mariners has long served the needs of all who are interested in the sea, from the casual reader to the professional historian. This completely revised edition takes into account the fresh information that has appeared since the book was first published in 1959, especially that from archaeology's newest branch, marine archaeology. Casson does what no other author has done: he has put in a single volume the story of all that the ancients accomplished on the sea from the earliest times to the end of the Roman Empire. He explains how they perfected trading vessels from mere rowboats into huge freighters that could carry over a thousand tons, how they transformed warships from simple oared transports into complex rowing machines holding hundreds of marines and even heavy artillery, and how their maritime commerce progressed from short cautious voyages to a network that reached from Spain to India. It is astonishing how much new evidence on ancient seafaring has emerged since the first edition of this book was published. . . . Lionel Casson sets out this new material, and much more.